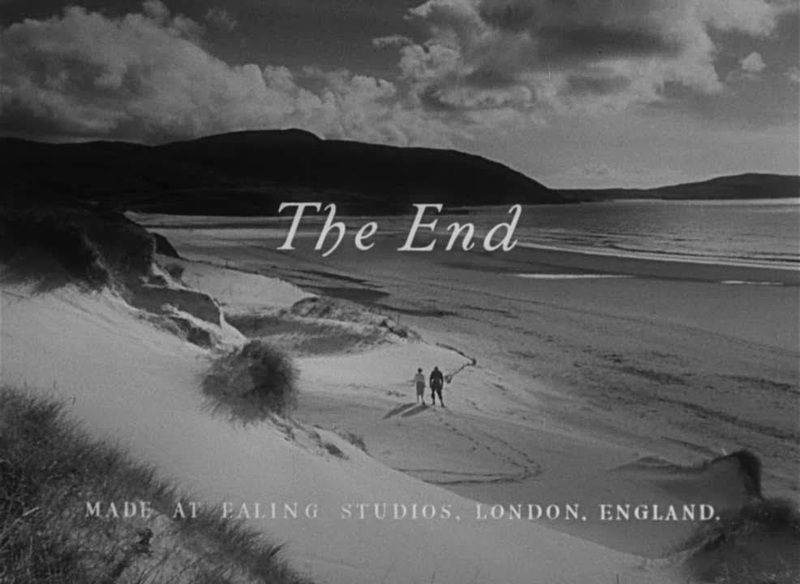 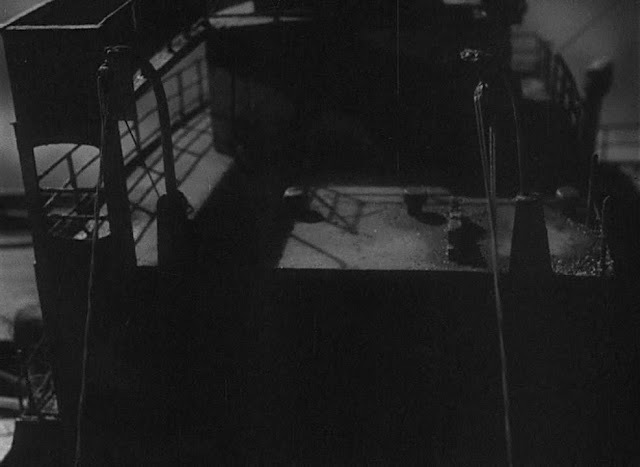 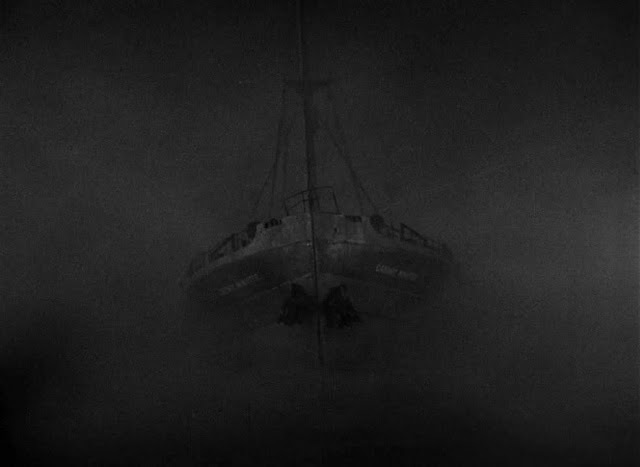 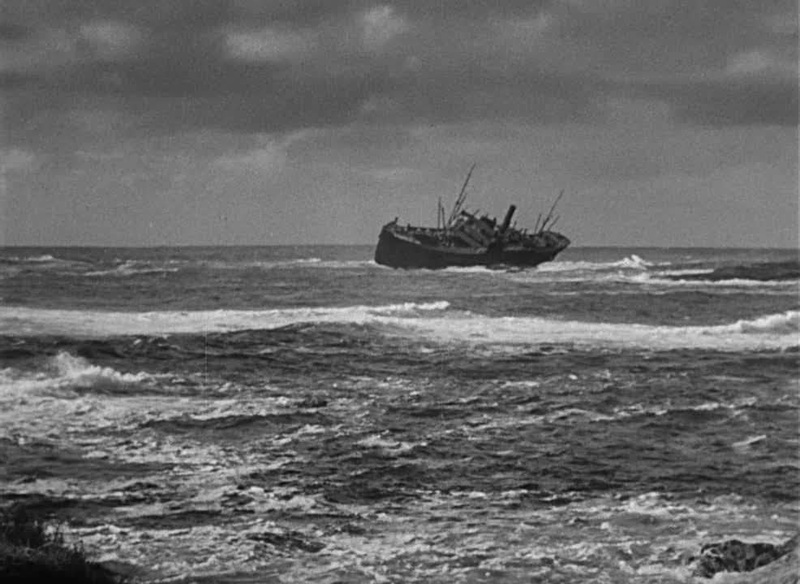 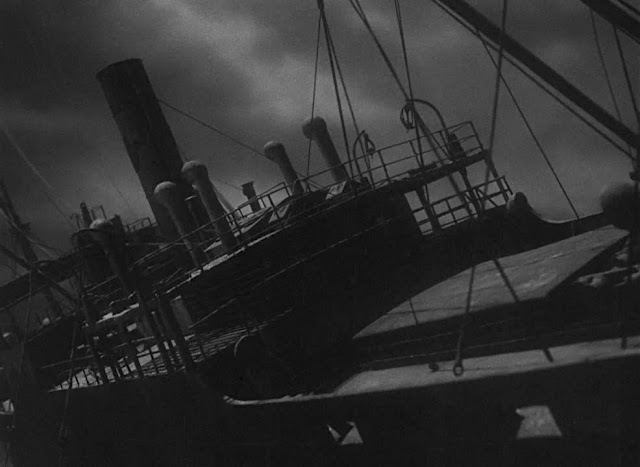 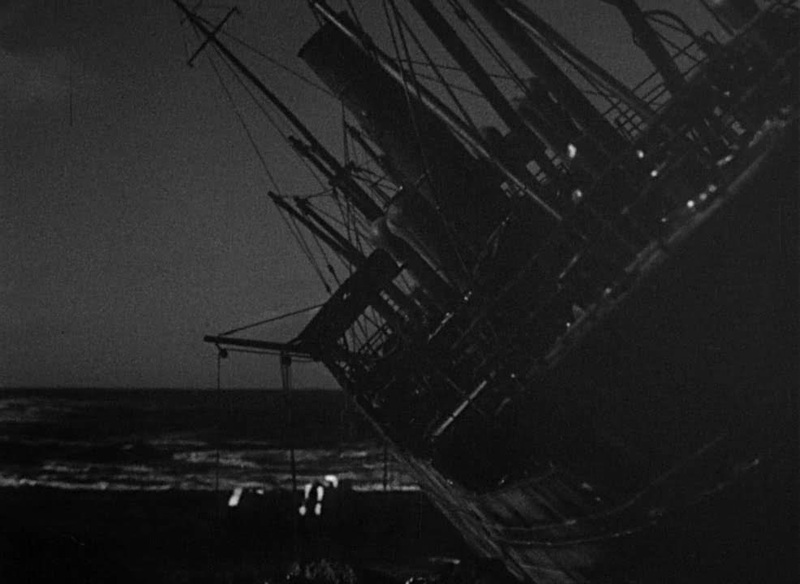 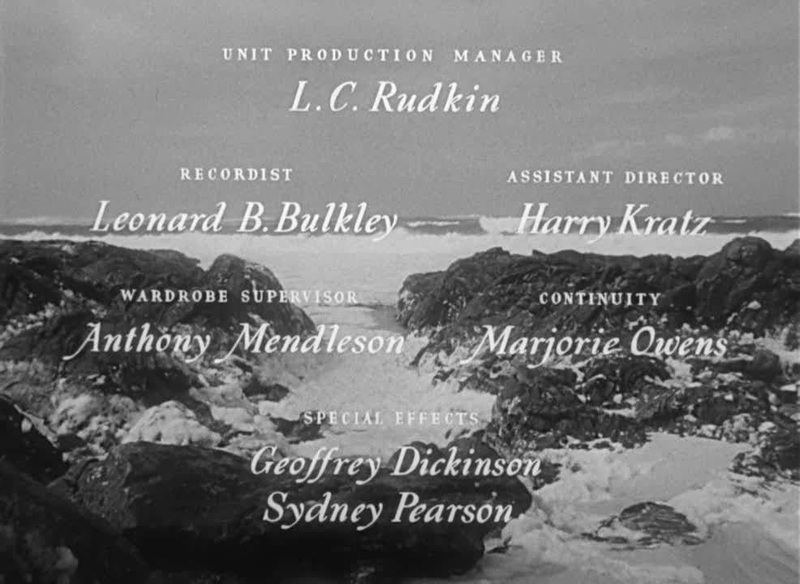 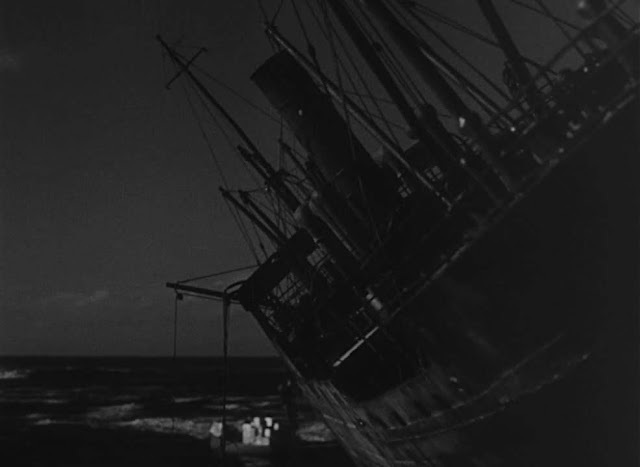 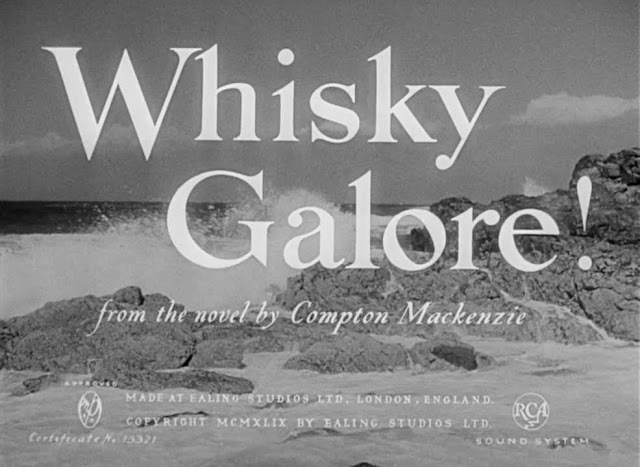 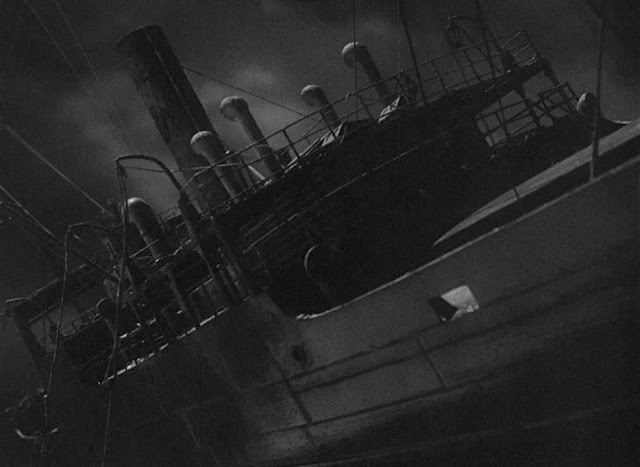 This Alexander Mackendrick Ealing comedy has a few shots of a miniature ship and what looks to be a glass shot of the stranded ship stuck on the rocks. 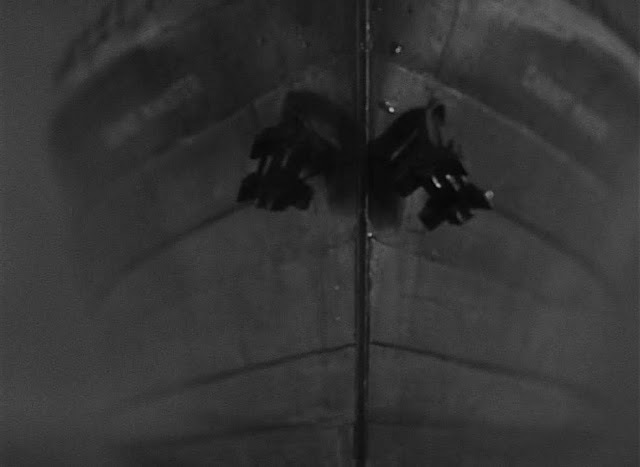 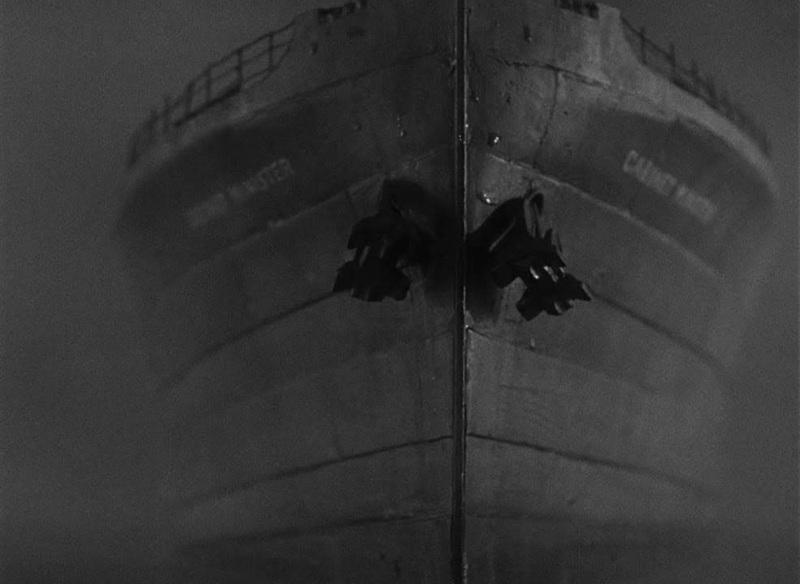 The first shot of the bow of the ship suffers greatly from too small a depth of field. 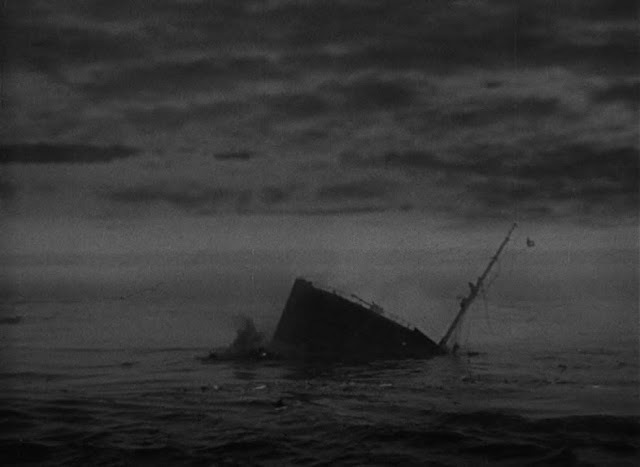 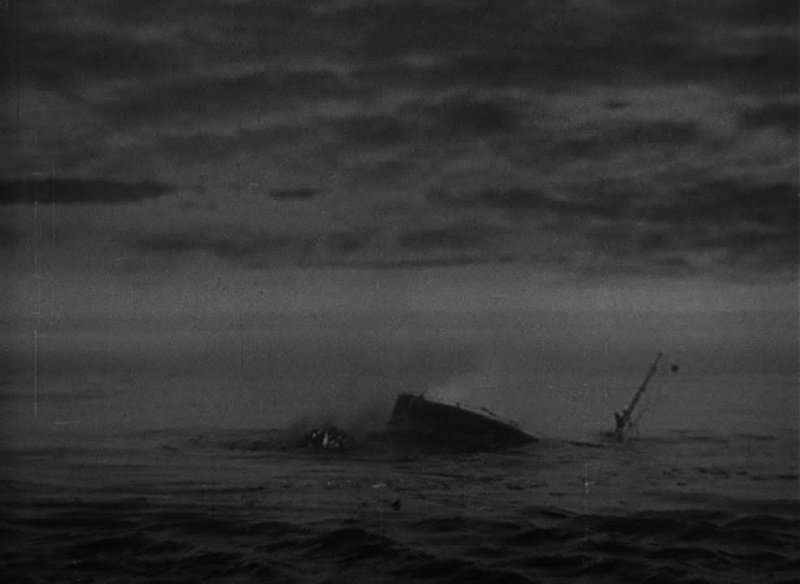 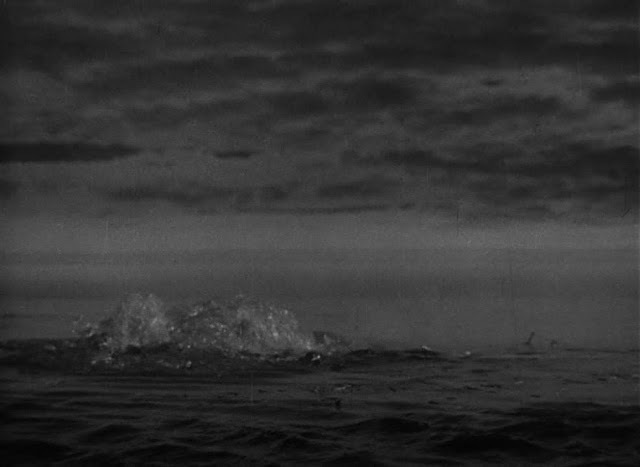 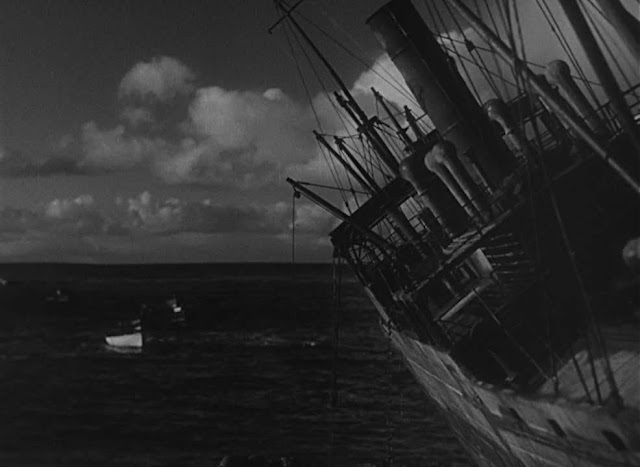 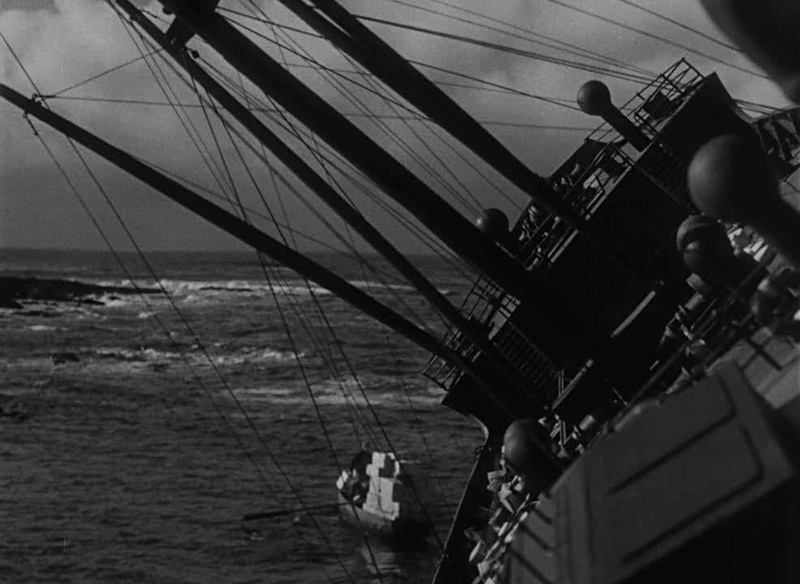 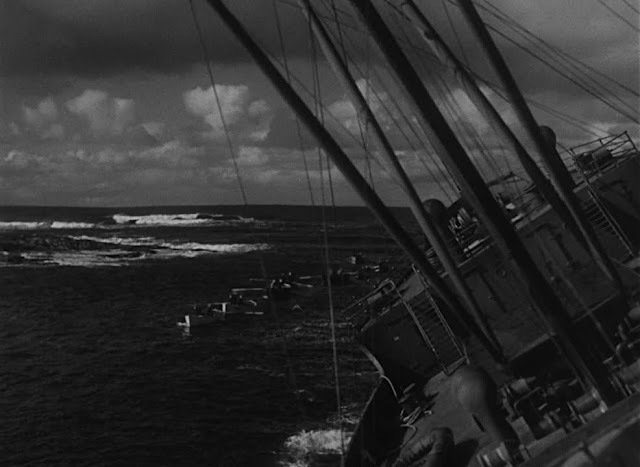 Most of the shots do not show any interaction with water except the final sinking shot. Some of the shots combine the miniature with rear projected live action plates. Miniatures are likely the work of one of the two credited special effects personnel, Sydney (Syd) Pearson.